It turns out that in fashion, flowers can take root well beyond spring and summer. This winter, florals are quite decidedly in bloom and available in both high-end wares and more reasonably priced frocks. Whether it’s a colorful array of flowers embroidered on an ethereal tulle blouse or the artful spray of petals on a purse, flower power is le dernier cri in fall and winter 2017. Got good gams? 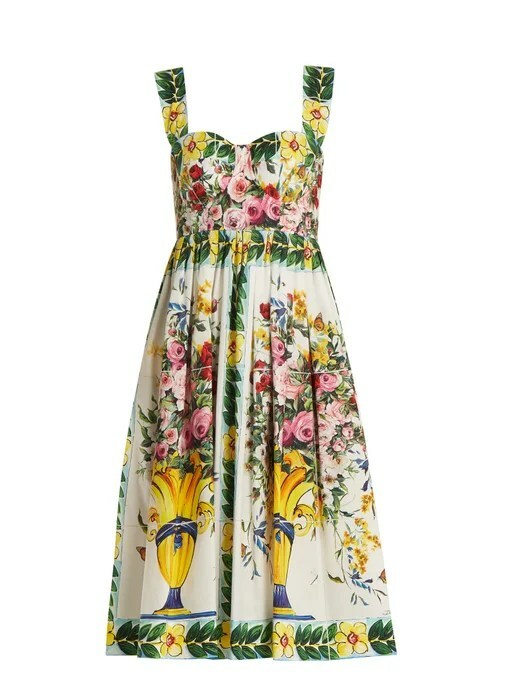 Check out this floral frock from Zara. $69.90. http://www.zara.com. 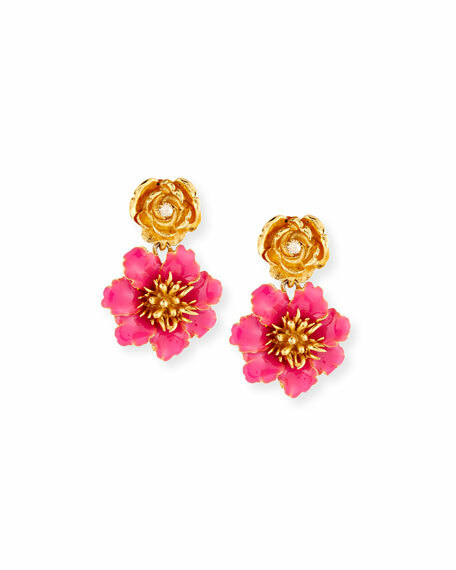 Oscar de la Renta’s Gilded Floral Clip-On Earrings. $265.00. http://www.neiman.marcus.com. Embroidered Tulle Blouse. $39.90. http://www.zara.com. 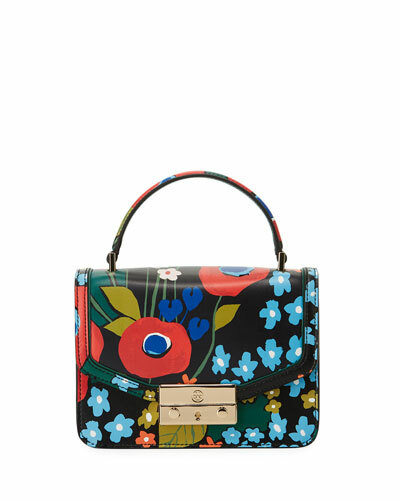 Juliette floral print purse by Tory Burch. 478.00. http://www.neiman.marcus. Love, love, love this embroidered velvet bucket bag. $59.90. http://www.zara.com. 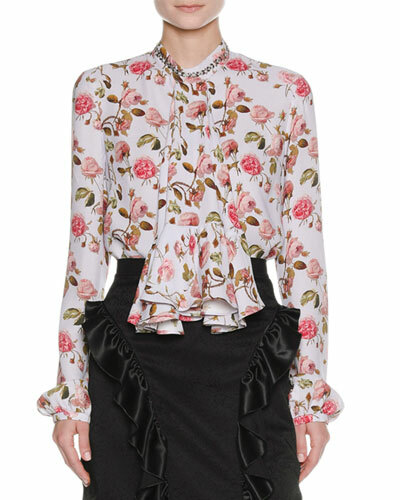 Francesco Scognamiglio Ruffle Floral Blouse. $660.00. http://www.neimanmarcus. FLoral print blouse from Zara. $39.90. http://www.zara.com. Donald Pliner’s Haruna Suede Floral Cutout Sandal. They also come in black. $268.00. http://www.neimanmarcus.com. Floral dress from Zara. $69.90. http://www.zara.com. 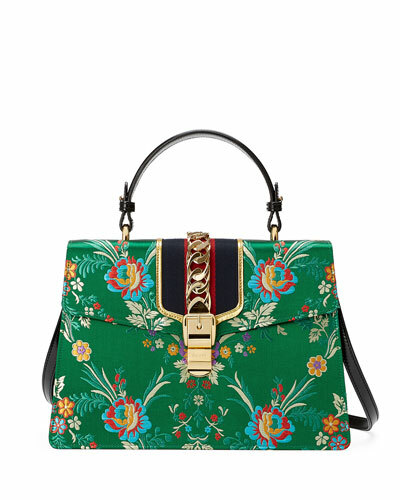 Green grows Gucci’s Sylvie Purse. $2890.00. http://www.neimanmarcus.com. 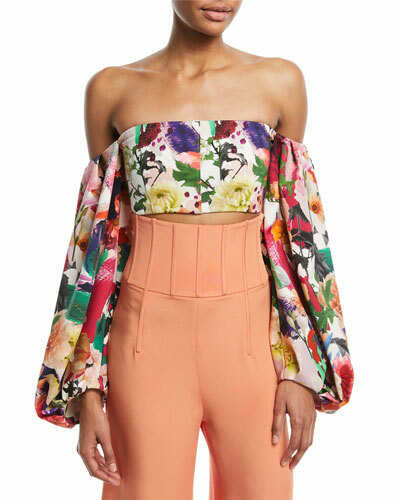 Cushnie Et Ochs’ Carlita Off-the-Shoulder Crop Top. $795.00. http://www.neimanmarcus.com. 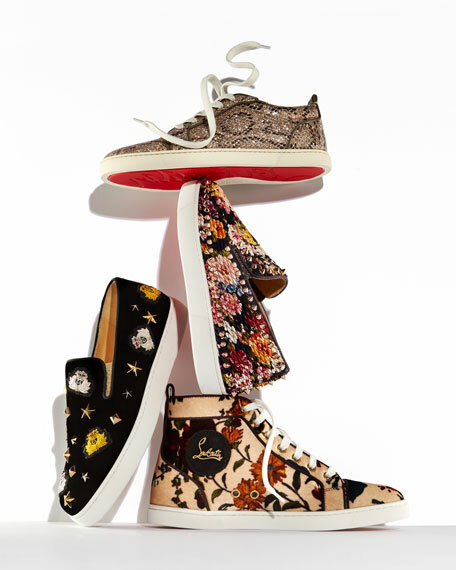 Christian Louboutin Floral-Themed Sneakers. $995.00. http://www.neimanmarcus.com. Floral print jeans from Zara. $49.90. www. zara.com. 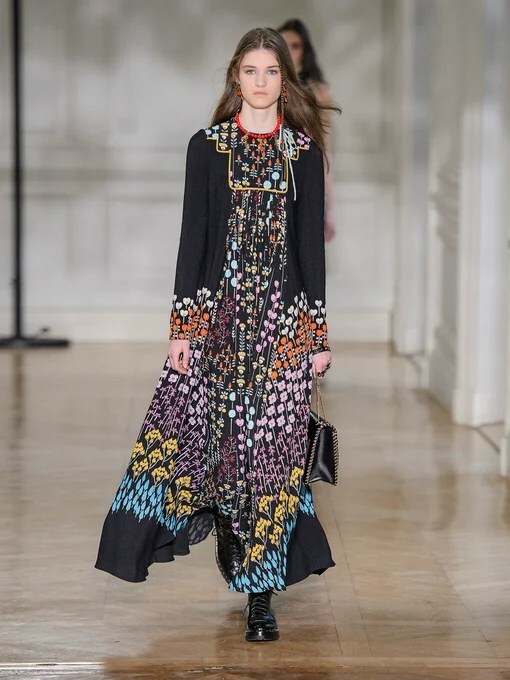 Valentino Floral Dress. $5,900.00. http://www.matchesfashion.com. Floral T from Zara. $19.90. http://www.zara.com. Printed Kimono from Zara. $69.90. http://www.zara.com. Dolce & Gabbana Poplin Print Dress. $1695.00. http://www.matchesfashion.com. Checkered Shirt with Floral and Beaded Embroidery. $39.90. http://www.zara.com.